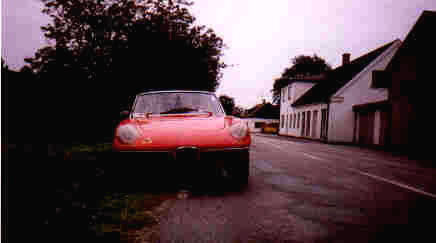 My Alfa Romeo pictures and a lot more! Good-looking Alfas! Latest pics are placed last. This is what you see behind the dashboard. Me on a rainy day 1996 in Germany. Always drive with the hood down. That handsome guy is me in 1972, in May just after I have bought my car. 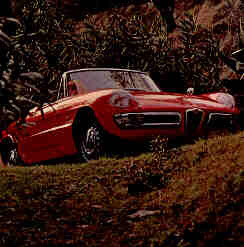 This photo is from the original sales brochure in 1967. The Spider from a top view. Have a glance at the Spider from a different angle. This photo too is a nice desk top pattern. The Spider is quite useful when your girlfriend likes to taste the grapes. 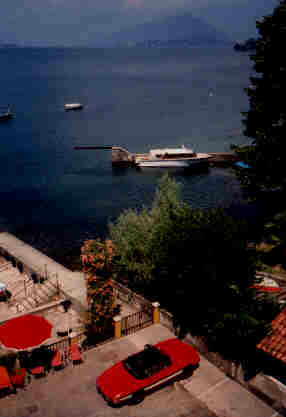 Gina some years ago at the Riva Hotel at Lago Maggiore. Stina and I met some wonderful Dutch Alfa people there. They were on a vintage tour to Milano. 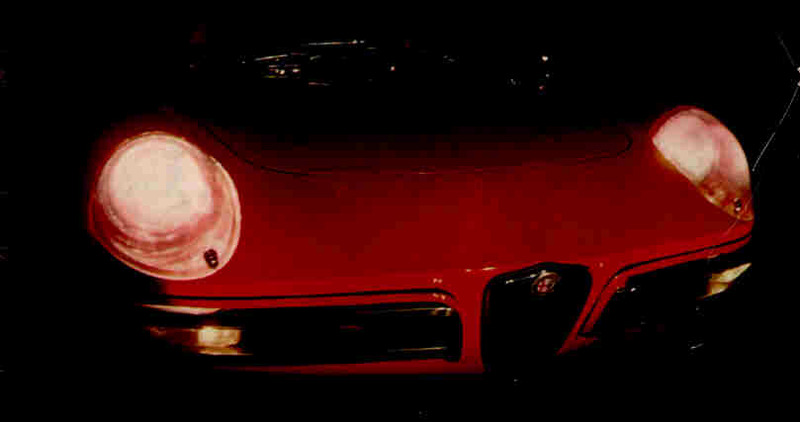 They had an excellent Giulietta Sprint, 1960, but unfortunately, I had no camera. As always, wonderful Alfisti from the Netherlands. 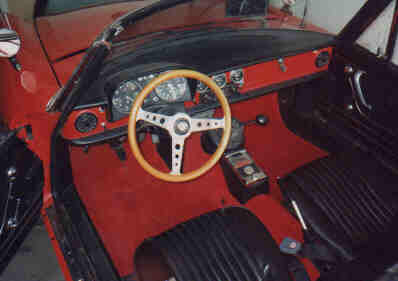 A top view of the interior of my Spider. In this picture you may have a look at my "Belle ragazze". 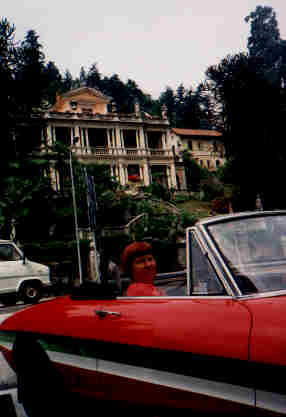 Stina sits in my Spider Gina just in front of a nice Villa at Lago Maggiore in Italy. 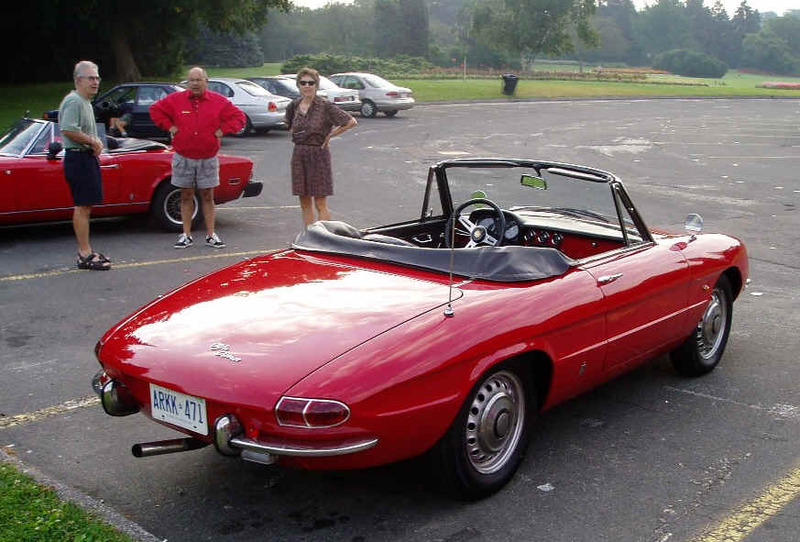 This is Fredde and the Spider in 1979 with the hard top on. 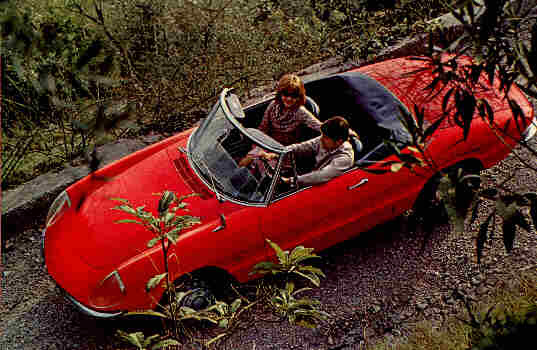 This is my Spider in 1975. 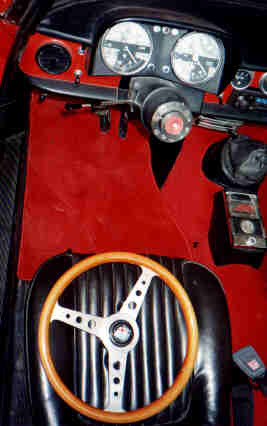 Here you may have a look at my removable steering wheel.